What is the TUAT WISE Program? 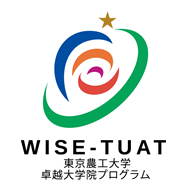 The characteristic of the Tokyo University of Agriculture and Technology (TUAT) WISE Program is that it features the creation of new industries and diversity. One of the Program’s themes is the creation of new industries that revolutionize agriculture and distribution through the application of high engineering technology. This is achieved through agri-engineer collaboration, and cooperation with private companies and overseas research / educational institutions. The Program seeks to nurture advanced PhDs, with scholars having great freedom in setting their research theme from various research areas. Specifically, the Program aims to nurture PhD degree holders with the following type of capabilities. The WISE Program nurtures individuals who can achieve agri-engineering collaboration. They will strengthen the foundation for innovation in systems for using high engineering technology to solve agricultural challenges as well as work with industry to contribute to the realization of a Super Smart Society. The Consortium for the Creation of New Industries is established with cooperation companies, etc., from a wide range of fields, including growth industries such as agriculture, energy, AI and IOT, to nurture brilliant innovation leaders. The WISE Program engages in graduate education that emphasizes diversity (gender, nationality, language, social experience, etc.). 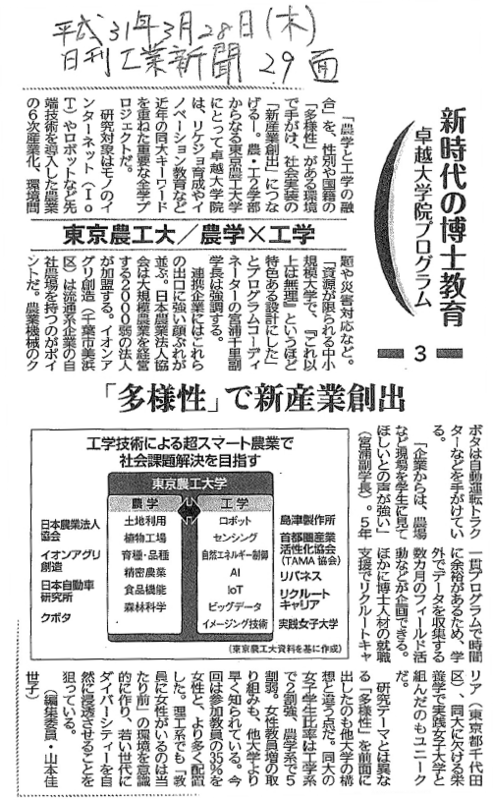 It nurtures brilliant male and female PhDs who will be active in various arenas both in Japan and abroad. We held the orientation of the WISE Program. Second Call for WISE Program. Application Period: March 15, noon.